"I had a hard time finding a black bean burger recipe that was not 'tex-mex,' so I made one up. Cook in a skillet or on the grill. Serve on buns with your favorite condiments." This was not good at all. 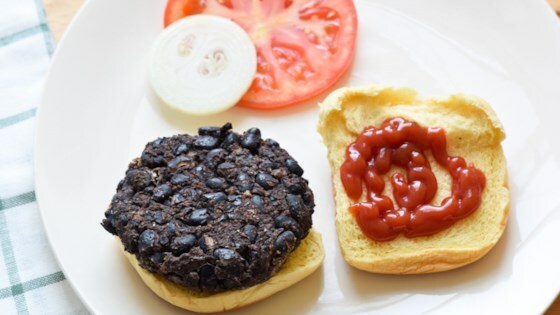 I love black beans, and I've had black bean burgers before. This was mushy, lacked flavor, and generally unappetizing. Definitely will not be making again. Love it!!! I used quick cooking oatmeal instead of pnako bread crumbs. Delicious! A hit with even my non-veggie friends and relatives. Not to mention it's vegan!